Wander through the streets of Old Oakville to discover why it endures as one of Canada’s most treasured communities. Here, luxury waterfront mansions and new custom-built homes mingle with heritage properties and architecturally diverse houses on lots lush with mature trees. Trendy downtown lofts and condominiums add a new modernity to the elegant and old, and provide many choices for the affluent mix of families, seniors, and young working professionals who live here. Living in the heart of downtown, Old Oakville residents are within easy walking distance to the many lakeside parks, quaint boutiques, restaurants, cafes, and other amenities on Lakeshore Road. Annual events such as the Oakville Jazz Festival, Midnight Madness, and various arts and craft shows draw visitors from all over the region. In the summer, the Oakville Harbour comes alive, and the Oakville Centre for Performing Arts keeps music and comedy lovers well entertained. Be the first to see new listings in this neighbourhood. We know Oakville inside and out. So tell us what your dream home looks like, and we’ll find it for you. With almost $350 million in home sales, we can give your home the exposure required to take advantage of today’s market conditions. Why choose the Schiavone Diamond team? Bill is a life long resident of Oakville and has many friends and family in the area. 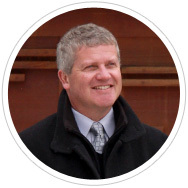 Since becoming licensed, Bill has steadily increased his Oakville real estate business by providing exhaustive and conscientious customer service. 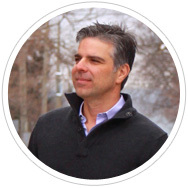 An active community member, Steve has an intimate and unique knowledge of Oakville and its surrounding areas. His past experience as founding partner in three successful Bay St. investment firms will serve clients well in the analysis and negotiation of home buying and selling. Born in Mississauga, raised in Bancroft, schooled at Queen’s, Todd has settled into and enjoyed living in Oakville for 20 years. 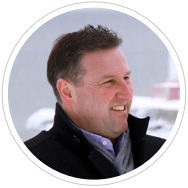 In an associated field, Todd has assisted in appraising over 30,000 homes, (many of them Oakville homes) for lending institutions since 1996. Angie owned and operated a ladies retail store in downtown Oakville for 12 years. She understands that hard work and commitment is the foundation for any business. She knows the value of customer service, integrity and reliability, which is what her success and reputation has been based on. Marielle has several years experience in executive and administrative work. As appointment and feedback liaison, her strengths include attention to detail, organization and a positive customer service attitude. 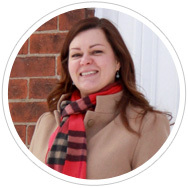 She is a lifelong resident of Oakville and is pleased to be working within the community. 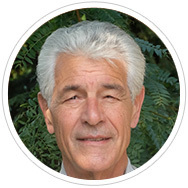 Fabe has been a resident of Oakville since 1987 and has developed a great deal of knowledge about the Town through his involvement with resident associations, the community foundation and real estate. His true enjoyment comes from “exceeding client expectations” and that also sets the bar for new clients. Growing up in Oakville, Brooke has first hand knowledge of the area, from the houses to the schools and the surrounding areas. Brooke has always had a great sense of community and has volunteered and raised money for local hospitals and organizations. 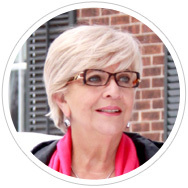 She has assisted and worked on house renovations over the years, giving her firsthand insight into how to help you achieve the greatest value out of a home. Fabe is a phenomenal salesman, who not only has excellent knowledge of the industry, but also really cares about his clients. We had every confidence in him and he delivered for our purchase and our sale! Team members were extremely helpful in the buying and selling process. Staging was beautifully done and was a key factor in the quick sale of my home. Great service & lots of help! Made it easy for us to buy & sell our home. Hope to have more chances to work together again! Excellent, knowledgeable, professional service. Thank you. Bill – you did an outstanding job on our latest move. A pleasure dealing with a knowledgable professional. Having an agent who understands the market, is knowledgeable, educated, etc. is great, but having an agent who can successfully manage personalities and micro-manage emotions is a massive advantage in the art of negotiations. Thank you for being so tenacious, supportive, and hard-working on our behalf. Your efforts were so appreciated. Thanks! I’ve done nine real estate purchases in my life, so far, this was the most professional, enjoyable and ‘non pushy’. Good job. Thanks. Very professional and friendly team! They provided excellent advice based on their in-depth and personal knowledge of the community. Can’t thank you enough for all that you did in helping us find the perfect house at the right price. Your attitude made it enjoyable and your professionalism made it very successful.